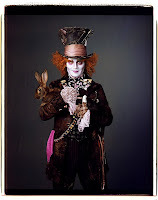 To those who are very excited of the upcoming Tim Burton flick Alice in Wonderland, here is a scoop I just got from firstshowing.net. It seems that this version of Alice in Wonderland is a direct sequel of 1951 Disney animated movie. 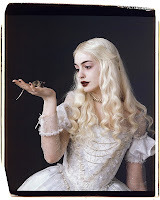 And it is also revealed that Anne Hathaway's character the White Queen is not really included in the original book. 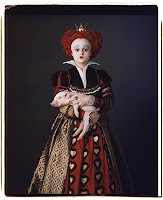 "The White Queen doesn't appear in Lewis Carroll's original Alice in Wonderland book, rather the sequel Through The Looking Glass, as a chess piece instead. While she is an ally of Alice, she seems to be living her life backwards, and is a little bit odd, to say the least. 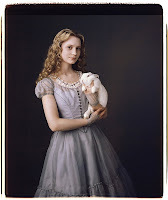 Burton's Alice in Wonderland is somewhat of a sequel to the Disney movie from 1951, with Alice returning to Wonderland without any memory of her first visit." With this new development, I admit I become more interested on this flick. Also adding up to the reasons of watching it is having Tim Burton as Director plus a stellar cast that includes Johnny Depp, Helena Bonham Carter and Anne Hathaway. This movie will surely bring our wildest fantasy in to life. Alice in Wonderland will premiere next year March 5, 2010 on digital 3D and 2D theaters worldwide.